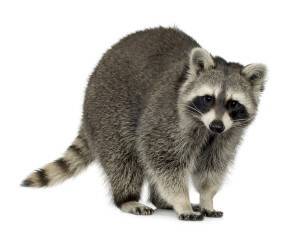 Similar to squirrels, there are a wide variety of techniques used when solving a raccoon problem. Techniques vary depending on the time of year and the particular situation. Most common techniques include one way doors and exclusion, live trapping, the use of deterrents by themselves or in conjunction with a one way door. Immediate removal by snare poling or catching is also options if the situation is appropriate. At Miller Pest Control we recommend an initial inspection to determine the extent of the problem, as well as the efficient way to solve the problem.